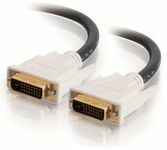 The Cables to Go 26942 is a precision-engineered Dual-Link DVI-D Cable which is fully compliant with the DVI standard defined by DDWG (Digital Display Working Group) using TMDS signaling. 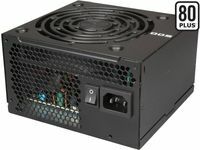 The DVI-D dual link pattern gives enough bandwidth for resolutions up to 2560x1600 pixels and allows high speed digital video transmission up to 9.9 Gbps. 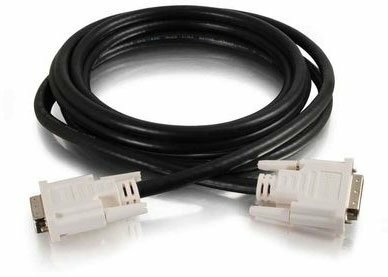 This 28 AWG DVI-D Cable features 9.8ft (3M) and has copper conductors that are independently insulated in foam-polypropylene to minimize crosstalk and gives high-speed error-free transmission. The white color cable has Gold-plated contacts that gives full conductivity without any data loss and also features Tri-shielded undermold and braid shield that protects against EMI/RFI interference. 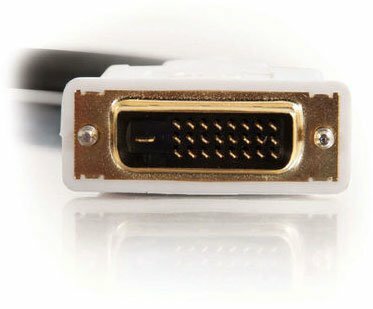 This DVI-D Cable is compatible with PC and Mac and supports hot-plugging of DVI display devices. The cable does not support analog video; only supports digital video signal. I normally give 3 stars for a product that meets expectations so please don't think this product under-performs. It does exactly what its supposed to, no more, no less.I am connecting two monitors, one dvi and one vga, to a kvm switch. 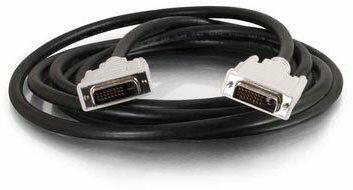 I use a regular kvm cable with vga ports to cary one set of video, mouse, keyboard, sound, and other usb traffic. 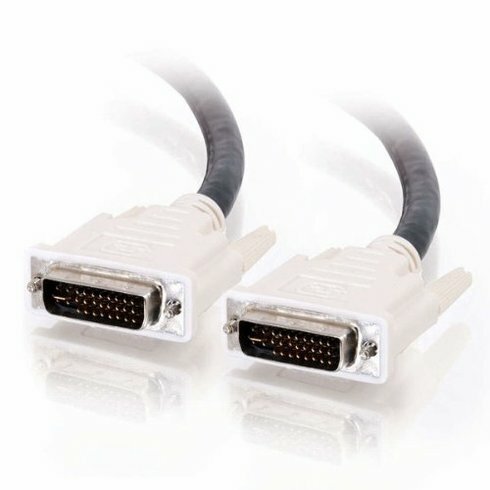 But that cable does not include dvi ports. So i bought this cable to carry the dvi signal. It doesn't sing or dance, but it doesn't cause any issues. I do recommend it as a reliable product. Only worked w/1 monitor, the cables are totally useless! Replaced my vga with it. Works perfectly on my secondary display. I plugged one end into my monitor and the other end into my computer. It works. One of the cables i ordered had a little bend in the metal that prevented it from plugging in properly. Bent it back with a set of pliers. Works fine now. Cables were exactly as described and delivered right on time. Couldn't be happier. This cable is very good! I have ever used.